It was just another among many Novembers for the Head of department of Anatomy at Mysore Medical College. However, it was a special moment for the close to hundred eager minds assembled amidst the dust and echoes in the biochemistry hall. It was here on that November in 1997 that I heard the first ever words of a doctor while I was not ill. 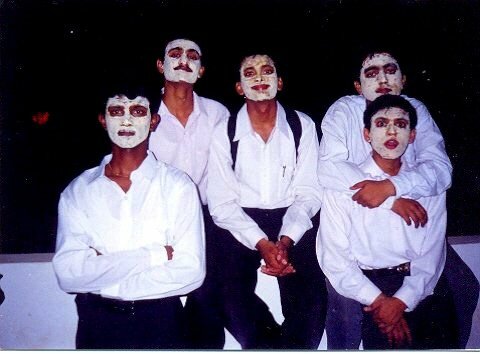 It was first day of medical training for nearly a hundred of the 1997 batch at Mysore Medical College. We were quite a motley crew – Karnataka itself well represented from Bidar to Coorg, and the usual smattering of PM/PD candidates, mostly from the hindi-speaking belt. Beside me was a lean boy from Andhra who is now a surgeon and on the way revolutionized Mad-ads and cartoons in the college, and on the other side was an eccentric looking ‘localite’, today a psychiatrist in UK. Discussing CET ranks was quite a pre-occupation on the first few days – as if all our lives, these ranks would be the defining moments! It felt quite like the end of a struggle (for the medical seat), and we felt like winners. Little did we know the struggle for the seat was only a trailer for the action-packed movie awaiting us! was the magazine of the batch, Doctales we called it, which did not see more than 4 issues; yet, we learnt what it is to edit articles. There was the music band, Bandwith 85, as we called it with the origins of its name shrouded in mystery. The department Q, which a few of us started for late evening quizzing and other pre-occupations had little to do with medicine. There was INFEST, a mega cultural event that drew support from many batches of students and the staff alike. I saw three of these while I was in (and later near) MMC. Loke’s tea and the discussions around him should have made him a wise man. The waterless pond and the unrepresentative sample of MMC’ians, which it drew, were a constant inspiration for hanging around the reading room. And of course the new auditorium, the gift of the alumni, thanks to which we never did have to go crawling for permission to Kalamandira. The wonderful hostel with the Late Mare Gowda and the cobbler and the innumerable idiosyncrasies that surround each member of the hostel kitchen; the wonderful movies we watched and the arguments about life, universe and everything on the stone bench; the prefectship which signified a system or the lack thereof; and inter-batch politics – these were early preparations for the real world. I cherish all the memories of the hostel, which were indeed life skills education that no medical school could have given! 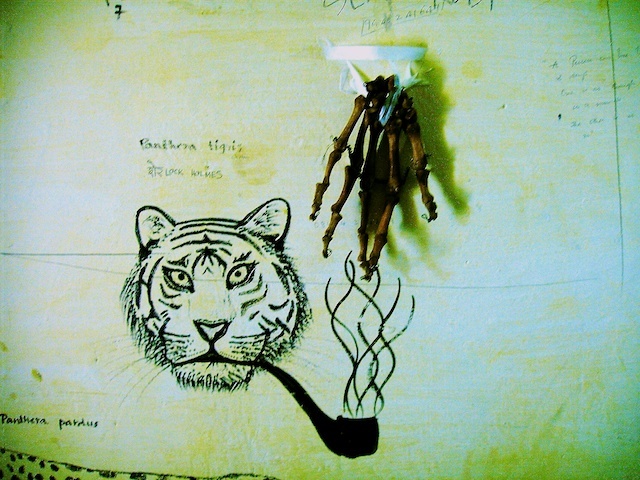 The long hours of group study in 137, the eccentricities in 91 and the wall art in 122. Each room seemed to acquire a history of its predecessor as well as the character of the occupant. Yes, I learnt medicine too. I remember the pride in showing off knowledge of ossification dates and trivia about eponymous syndromes; my pride only to be dashed by RJ Last, who asked the reader never to judge the medical competence of a man who can reproduce these eloquently for they were akin to logarithmic values that could be looked up whenever necessary. Yes, I learnt case taking and diagnostic skills as a means to an end; an end of passing examinations. Soon to discover during internship how the best of diagnostic skills would not help me connect to an injured 60-year-old farmer from Bandipur mauled by an elephant and his crop lying in a heap of waste. It would not help me communicate death to the daughter or birth to the mother. These, I had to learn by myself as most of my colleagues did. Often did I seek the Corrigan’s door (as described in that red-green-yellow companion of all interns). There was plenty of opportunity to learn all of these when I went off to work in BR Hills. The real thing – where there is no ‘respondeat superior’ to fall back upon! My quest for challenging settings to work took me to Arunachal Pradesh where I helped train PHC health workers in difficult settings. I saw new health problems that were very easy to diagnose but complex to treat – poverty, illiteracy and such. My later work as a medical officer in primary health centres showed me how difficult it is to work and survive in some of these settings and that explained why only a handful of us chose to work in these settings. The journey that began on that November in 1997 with the best batch in MMC (that is what each batch says about itself!) continues today. Indeed, it is much more for the rich diversity of experiences with my batchmates and hostelmates at MMC that I remember and thank the college for. It is after all these life skills that make my journey enjoyable to this day. Today, I work on trying to understand and solve a paradox. It is the paradox of inequity; that in a country with nuclear power we have anaemic mothers. Is it then enough to blame it on illiteracy? Is it not the responsibility of a just society to organize such services for its people? Among many determinants of this paradox is poor district health management. A complex issue that contributes to the poor performance of health services in several places in India, and the topic of research for my PhD. As I sit back, I know that my collective experience at MMC and the hostel was very important in my life. I wonder about my batchmates and the young minds who are right now going through the experience.